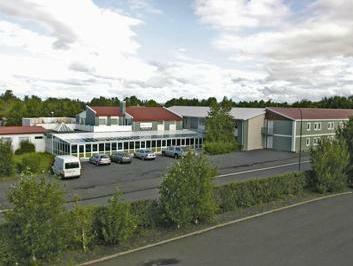 ﻿ Hotel Hvolsvollur Hvolsvollur. JIMAT di Agoda.com! Terletak di sebuah kampung kecil di selatan Iceland, Hotel Hvolsvollur dikelilingi fenomena semulajadi yang mengagumkan dan tarikan pelancongan yang terkenal di dunia. Seljalandsfoss Waterfall merupakan salah satu air terjun yang terletak berhampiran dengan Hvolsvöllur. Ia adalah setinggi 60 meter dan pelawat boleh menikmati pemandangan dari belakang air terjun. Hekla Volcano juga boleh dilihat dari Hvolsvöllur dan terdapat kolam renang luaran yang dipanaskan dengan tenaga geoterma semulajadi dari desa. Terletak di tempat yang indah, Hvolsvollur adalah lokasi yang ideal untuk lawatan sehari di bahagian selatan negara ini. Jangan lupa untuk melawat glasier Mýrdal dan Thorsmörk, yang merupakan salah satu tempat yang paling indah di Iceland, terdiri daripada gunung-ganang serta glasier yang menakjubkan. Hotel ini menikmati persekitaran bersejarah. Ini adalah di mana Saga Njal berlaku pada abad ke-10. Icelandic Saga Centre di Hvolsvöllur menawarkan peluang yang unik untuk tetamu meneroka dunia mitos, perjalanan di lautan, serta mengalami kisah zaman Viking yang dramatik dan menarik. Hotel Hvolsvöllur mempunyai restoran yang sangat baik yang boleh melayan sehingga 160 orang dan menunya terdiri daripada masakan istimewa Iceland yang banyak. Guests must contact the hotel in advance for arrivals after 00.00. Comparably cheap in Icelandic standard. Breakfast is decent. The room is spacious but a little bit old. Still cozy, tho. Great location, excellent staff. Restaurant has good food at a reasonable price and had gluten free for my wife. Hot tubs was a welcomed surprise after a long day and night! The hotel is quite big with several extensions. Breakfast was okay for Iceland standard. There are a lot of tour groups, so better head down for breakfast early. The front desk staff wasn't very friendly, and the electricity trip halfway after we check in. She did help but in a very nonchalant way. I will stay here again if I am visiting Iceland again, as this is a good mid point. No frills hotel room with two joined twin beds. Clean and cozy. We could hear guests in other rooms at times but nothing worth complaining about given the price versus other options in the area. We had direct access to geothermally heated hot tubs. Expensive dinner buffet but the included breakfast buffet was nice. We were surprised the hotel accommodated the hordes of young tourists, providing bags for them to pack lunches made from the buffet offerings. Speaking of which, the staff was very friendly. We booked a family room, it is spacious. This is a very price friendly stay in the Vík Neighbourhood. Although not exactly Vík, and there is no view. This is a proper hotel, with a good, big room, nice big bed, and TV if you missed that. You get all of a hotel for the price of a guest house. The staff is very nice and helpful, and my wife finally had a hair dryer at her exposal. So, for us this was a nice break of a little luxury. The only downside was that we had to let the water run for few minutes to get warm water. That was a bit annoying and unprofessional, but that could be because the place was not fully utilised. Hotel Hvolsvollur serves as a launch point for several interesting day trips - to the southern Highlands, to Thorsmork, to historic saga sites, and so on. The rooms are larger than most hotels in Iceland. Free wi-fi is welcome. The buffet breakfast was somewhat limited. Occasionally the hotel hosts large groups of international students and that can become disruptive. All in all, this is an excellent choice in the area.